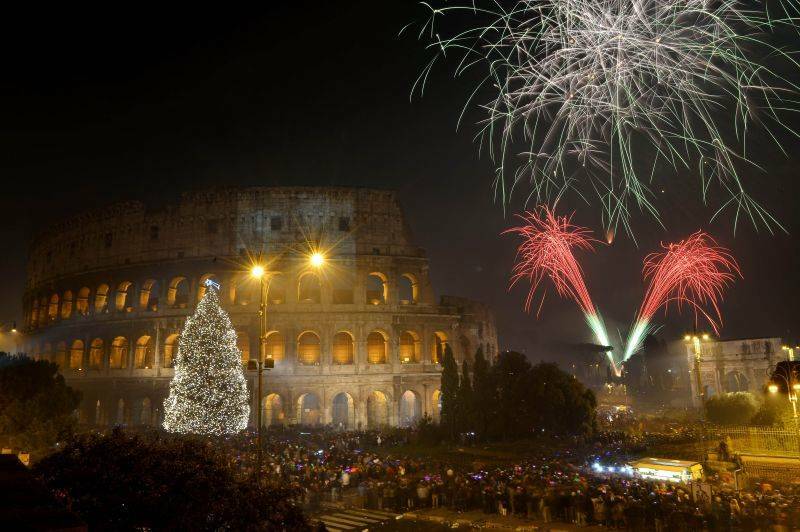 “Anno nuovo – vita nuova!” “New year – new life!” This is the #1 intention for the new year many Italians, from all different regions, repeat on the last night of the old year all through the first day of the new one. People hope for a new, better life, by trying to let the past behind and welcome the new wishing for all good things to come. In this moment of crisis, it sounds like money is the first wish for the majority of Italians. It would be nice to say that people mostly wish for health and happiness, but to many, nowadays, money means happiness. Despite the current economic situation, there are many different traditions, established even before the crisis, that are meant to bring wealth in the new year. The first is at the dining table. 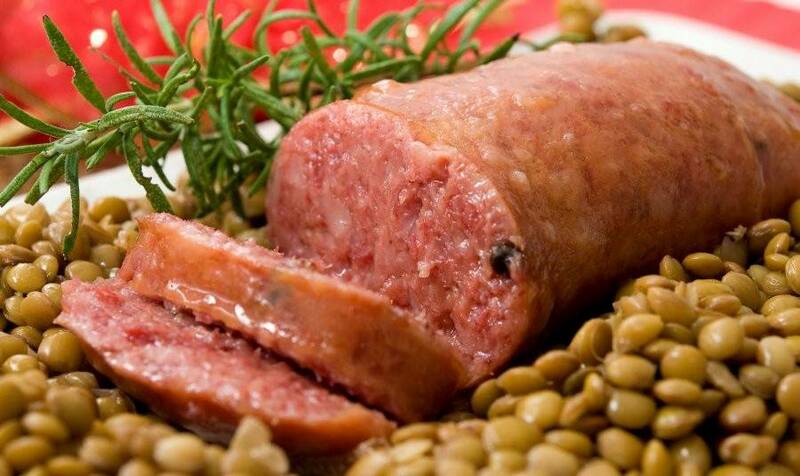 The fat and opulent meat of cotechino brings prosperity, and it pairs perfectly with lentils. Grapes are also bearer of good fortune...there is even a saying: “Chi mangia l’uva per capodanno conta i quattrini tutto l’anno” - “Who eats grapes on New Year's will count money all year long.” The origins of this belief are also in the past and they come from the countryside: having grapes in winter time meant the harvest in the fall was rich, thus grapes meant richness. New Year's dinner is not complete without spumante or prosecco. Nothing says New Year's quite like a festive flute of bubbly! 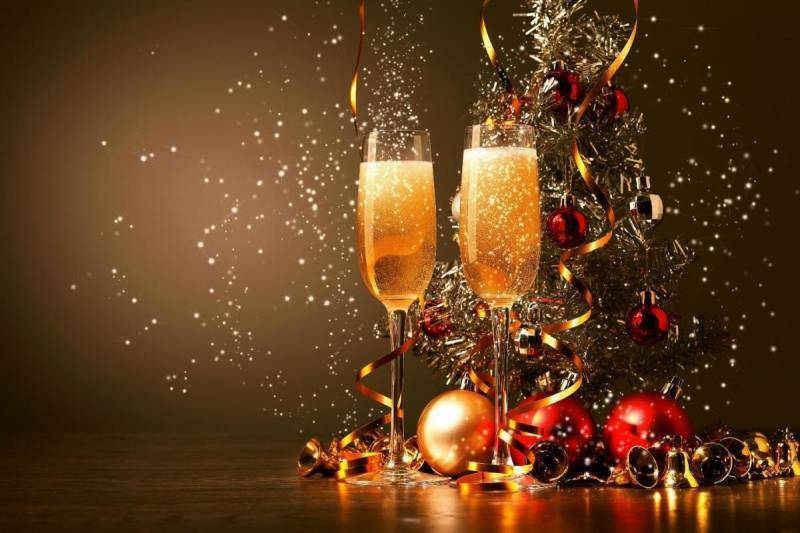 A special toast with your loved one, a kiss underneath the mistletoe, will bring love all year long. For New Year's Eve dinner it is important for the ladies to wear, underneath the elegant dress they have chosen (this year, just like last, lace dresses are the number one choice), red lingerie. Men do too. So it is very common that the windows of many Italian stores, right after Christmas, turn red, as there are many different pieces for sale, from underwear, to socks, pajamas and robes. This custom started back in time with the Ancient Romans, they used to wear red as a symbol of blood and war to keep fear away. Today it is a wish for good luck for what's to come. In welcoming the new year, there are things you can do to keep the evil spirits at bay: among them, hanging mistletoe on the front door and opening a window in a dark room a second before midnight, to let the bad spirits out, to then open another window in a lighted room to welcome the good spirits. An old custom that is still followed in some regions, especially in the south, is, right at midnight, throwing old things out the window. This symbolizes a person's readiness to put the past behind and to accept what's to come. Firecrackers or sparklers symbolize joy and happiness but traditionally, fire is believed to purify and get rid of evil spirits and any other setback. 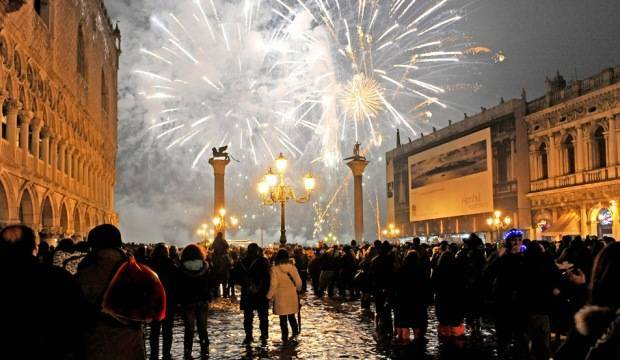 Usually the biggest cities - Rome, Milan, Bologna, Palermo and Naples - put on huge popular outdoor shows, mostly concerts with pop and rock bands, followed by beautiful fireworks. Smaller towns build a bonfire in the central square where people will congregate to celebrate into the early morning. Unfortunately people often try to have their own private “shows” and they buy their own firecrackers and on the first day of the new year the news are filled with sad stories of people who had accidents trying to light them. The Italian Police is very active in trying to prevent this, but first of all people should try to have fun responsibly. We started with a saying and we finish with another one: “Quello che si fa a Capodanno si fa tutto l’anno,” “What you do on New Year's Eve you will do all year long,” so think well before you act and do your favorite things! Happy 2017!